Badar Durrez Ahmed, Actg. CJ. And V.K. Jain, J. “(1) Whether on the facts and in the circumstances of the case, the Tribunal was correct in law in holding that the payment of additional cess and cess surcharge was not a tax or duty and as such the same was not covered within the provisions of section 43B of the Income-tax Act, 1961? (2) Whether on the facts and in the circumstances of the case, the Tribunal is justified in holding that the deposits of Rs.26,10,483/- obtained by the assessee from its non-governmental buyers of cement cannot be treated as a trading receipt and, therefore, is not subject-matter of disallowance u/s 43B of the Income-tax Act? (3) Whether on the facts and in the circumstances of the case, the Tribunal was correct in law in holding that the income treated by the Assessing Officer on account of unclaimed balances/wages/bonus which were written off by the assessee and credited to its Profit and Loss Account cannot be treated as the income of the assessee company? (4) Whether on the facts and in the circumstances of the case, the Tribunal was correct in law in holding that the assessee-company was entitled for deduction on account of Extra Shift Allowance relating to transformers? 2. Question Nos. 3 and 4 were not pressed before us by Mr Sabharwal, appearing on behalf of the revenue on account of the small amounts involved therein. In question No.3, the amount involved is roughly around Rs.13,000/- and in question No.4, the amount is approximately Rs.8,600/-. Consequently, insofar as question Nos. 3 and 4 are concerned, we return the same unanswered. We are, therefore, left to examine question Nos. 1, 2 and 5. 3. The facts necessary for examining this question are that the assessee (respondent herein) claimed expenditure of Rs.1,45,29,207/- in respect of assessment year 1985-86 as accrued liability to pay cess and cess surcharge under Section 115 and 116 respectively of the Tamil Nadu Panchayats Act, 1958. The Assessing Officer disallowed the said claim by invoking the provisions of Section 43B of the said Act on the ground that the cess and cess surcharge under the Tamil Nadu Panchayats Act, 1958 had not actually been paid by the respondent during the previous year relating to the assessment year 1985-86. The respondent was aggrieved by this inasmuch as according to the respondent, no disallowance could be made under Section 43B(a) of the said Act as the said cess and cess surcharge was neither a tax nor duty. However, the Commissioner of Income-tax (Appeals) confirmed the disallowance made by the Assessing Officer. In a further appeal before the Income Tax Appellate Tribunal being ITA No. 2916/Delhi/90, the said Tribunal agreed with the contentions of the respondent/assessee and deleted the disallowance by virtue of an order dated 25.03.1994. 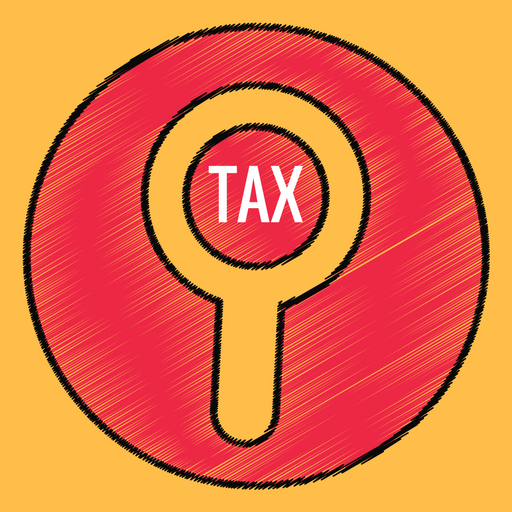 The Tribunal followed its earlier year’s order in respect of assessment year 1984-85 wherein the tribunal had held that although cess was a tax for the purposes of the Constitution of India, it was not a tax within the meaning of Section 43B of the said Act as it stood at the relevant time. The decision of the tribunal in respect of assessment year 1984-85 became the subject-matter of an income tax reference under Section 256(1) of the said Act at the instance of the revenue and was part of a batch of references being ITR Nos. 385-388/1992 which were before this Court. During the pendency of the reference in respect of assessment year 1984-85, the revenue, being aggrieved by the Tribunal’s order in respect of assessment year 1985-86, filed a reference application being RA 462/Delhi/94 for a reference to the High Court. By an order dated 01.03.1997, the Tribunal referred the five questions mentioned earlier to this court, which reference has become ITR No. 58/1997 (i.e., the present reference). During the pendency of the present reference, ITR Nos. 385-388/1992 which included the reference in respect of assessment year 1984-85 was returned unanswered by a Division Bench of this Court on 05.09.2007 inasmuch as the revenue had not filed the paper books although the matter had been pending for 15 years. Therefore, we do not have the benefit of any decision of this Court on this question as the reference in respect of the earlier assessment year (assessment year 1984-85) had been returned unanswered in the circumstances mentioned above. shall be allowed (irrespective of the previous year in which the liability to pay such sum was incurred by the assessee according to the method of accounting regularly employed by him) only in computing the income referred to in section 28 of that previous year in which sum is actually paid by him. 6. It will be immediately clear that while Section 43B(a) as it stood prior to the amendment introduced by the Finance Act, 1988 specifically referred to only “tax or duty”, after the amendment, the said clause (a) of Section 43B also had specific reference to “cess or fee, by whatever name called” in addition to tax and duty. 8. It can be seen from the above extract that the Finance Minister had specifically referred to statutory liabilities such as excise duty, employer’s contribution to provident fund and employees’ state insurance scheme. Reflecting this sentiment, section 43B(a) referred to the statutory liability of a tax or duty, while Section 43B(b) referred to the sum payable by the assessee as an employer by way of contribution to any provident fund or superannuation fund or gratuity fund or any other fund for the welfare of the employees. It was the contention of Mr Sabharwal that the purpose behind introduction of Section 43B was to curb the mischief whereby an assessee could claim a deduction in respect of an accrued statutory liability and yet not clear the same, thereby depriving the Government of its dues while enjoying the benefit of non-payment. 35. Under the existing provisions of section 43B of the Income-tax Act, deduction for any amount payable by the assessee by way of tax or duty under any law or any sum payable as an employer by way of contribution to any provident fund or superannuation fund is allowed as a deduction in computing the income of that person in the year in which such sum is actually paid by him. The objective behind these provisions is to provide for a tax disincentive by denying deduction in respect of statutory liability or fund money etc. which is not paid in time. The benefit of deduction is thus available only to those persons who do not use Government money for their own purposes. There has been a legal controversy whether the words ‘tax’ and ‘duty’ cover within their fold certain statutory levies like cess, fees, etc. It has been held by some appellate authorities that such amounts could not be covered under the expressions “tax” or “duty”. Such interpretations are against the legislative intent. Therefore, as a matter of clarification, the Bill provides that cess or fees by whatever name called, which have been imposed by any statutory authority, including a local authority, will also be allowed as a deduction only if these are actually paid. 10. Placing reliance on the above extract, Mr Sabharwal submitted that the memorandum itself indicated that “as a matter of clarification”, the Finance Bill, 1988 made provision for the fact that cess or fee by whatever name called which had been imposed by any statutory authority, including a local authority, would also be allowed as a deduction “only if” these were actually paid. It was therefore contended that the legislative intent behind Section 43B was always to include cess and fee within the fold of tax and duty and this has been clarified by the amendment brought about in Section 43B(a) by virtue of the Finance Act, 1988. Since the amendment is clarificatory, according to Mr Sabharwal, the same would apply with retrospective effect and would have to be regarded as if the post amendment position was always the case since the inception when Section 43B was introduced by virtue of the Finance Act, 1983. For this proposition, Mr Sabharwal had placed reliance on a Calcutta High Court decision in the case of CIT v.Orient Paper & Industries Ltd.  214 ITR 473/83 Taxman 443. In that case, the Calcutta High Court held that the amendment to Section 43B(a) whereby the expression, “cess or fee, by whatever name called” was added, was clarificatory and would have retrospective operation and would even apply to the assessment year 1984-85. 11. Mr Sabharwal then referred to the Supreme Court decision in India Cement Ltd. v. State of Tamil Nadu  188 ITR 690, in an attempt to demonstrate that cess is equivalent to tax and therefore even though cess had not been specified in Section 43B(a) prior to its amendment with effect from 1.4.1989, it would always have been a part of tax and as such, section 43B as it originally stood would also have reference to cess inasmuch cess was included in tax. (iii) It is part of a common burden and the quantum of imposition is generally dependent upon the capacity to pay of the taxpayer. According to Mr Sabharwal, the cess in question satisfies all the above three conditions and therefore it has to be regarded as a tax. 13. Finally, Mr Sabharwal referred to the Supreme Court decision in Allied Motors (P) Ltd. v. CIT  224 ITR 677/91 Taxman 205. He submitted that in that decision the Supreme Court examined Section 43B of the said Act in the context of the introduction of the first proviso thereof by virtue of the Finance Act of 1987. The Supreme Court held the proviso to be of a remedial nature which had been inserted to remedy unintended consequences. In this backdrop, the Supreme Court held that although the proviso had been inserted by virtue of the Finance Act, 1987, it was required to be treated as retrospective in operation, so that a reasonable interpretation could be given to the section as a whole. seeking to draw an analogy therefrom, Mr Sabharwal submitted that the amendment introduced in Section 43B(a) by virtue of the Finance Act, 1988, also ought to be treated as having retrospective operation. 14. In response to the arguments submitted on behalf of the revenue, Mr Ravi Mehta appearing on behalf of the respondent/assessee submitted that insofar as Section 43B was concerned, the said provision as it stood in respect of the assessment year 1985-86 did not include cess or fee (by whatever name called) and that provision was limited to tax or duty. Secondly, he submitted that while cess may be included in the expression of tax used in a generic and general sense as a part of overall taxation, it is not to be construed as a tax at least for the purpose of Section 43B as it stood at the relevant time. He submitted that it is not at all necessary that a cess should be regarded as a tax. He placed reliance on a Supreme Court decision in the case of Dewan Chand Builders & Contractors v. Union of India: (2012) 1 SCC 101 where the Supreme Court recognized the clear distinction between a cess and a tax. Therefore, according to Mr Mehta, use of the word ‘tax’ in Section 43B(a) does not, ipso facto, include a cess. There is no doubt that ‘cess’ was introduced by virtue of the Finance Act, 1988 with effect from 01.04.1989, but that introduction was only prospective from assessment year 1989-90 onwards and not retrospective. He referred to the Finance Bill, 1988 as also the Board Circular No. 528 dated 16.12.1988 explaining the amendments introduced by the Finance Act, 1988. Mr Mehta submitted that the decision in Allied Motors (P.) Ltd’s. case (supra) cannot be applied in the present case because in that case, the introduction of the proviso was remedial in nature, to remedy an unintended consequence and was for the benefit of the assessees. It is in those special circumstances that the said proviso was construed as having retrospective effect. Here, the retrospectivity would work against the assessee and, in any event, the circumstances which existed in Allied Motors (P.) Ltd’s. case (supra) do not exist in the present case. As regards the decision of the Calcutta High Court in Orient Paper & Industries Ltd’s. case (supra), Mr Mehta submitted that while that decision is in line with the arguments submitted by the learned counsel for the revenue inasmuch as the Calcutta High Court held that the amendment to Section 43B(a) was retrospective, being clarificatory, the said decision does not bind this Court. Furthermore, several other High Courts have decided to the contrary. For example, the Andhra Pradesh High Court in Phoolchand Lalith Kumar & Company v. ITO  196 ITR 302/65 Taxman 162 held that cess was not covered in Section 43B at the relevant time, i.e., 1984-85 and 1985-86. Similarly in CITv. Mansukhlal Prahjibhai & Co.:  227 ITR 429, the High Court of Madhya Pradesh held that “fee”, which was introduced in Section 43B, would operate only prospectively from the date of the amendment. A similar view was taken by the said High Court of Madhya Pradesh in CITv. Dinesh Kumar Gordhanlal  226 ITR 826. The High Court of Rajasthan also, in the case of CITv. Udaipur Distillery Co. Ltd. (No.1) 268 ITR 305/134 Taxman 398 (Raj. ),took the view that since “fee”, as distinct from tax or duty, had not been subjected to the provisions of Section 43B prior to 01.04.1989, the liability incurred on account of bottling fee during the accounting period relating to the assessment year in question would not be subjected to Section 43B of the said Act even if it be assumed that “fee” in its technical sense was a specie of taxation. The Rajasthan High Court also placed reliance on the Andhra Pradesh decision in Srikakollu Subba Rao & Co. v. Union of India  173 ITR 708wherein the Andhra Pradesh High Court held that market cess was not a tax and that the provisions of Section 43B had no application to market cess. The said decision of the Rajasthan High Court was taken in appeal by the revenue before the Supreme Court. The decision of the Supreme Court is reported as CITv. McDowell & Co. Ltd. (No.1)  314 ITR 167/180 Taxman 514 (SC) which affirmed the view taken by the Rajasthan High Court. It would however be pertinent to mention that the revenue had not agitated the issue of retrospectivity before the Supreme Court and therefore the Supreme Court had not considered the same in Mc Dowell & Company Ltd. (No.1) (supra). 15. Mr Mehta submitted that the decision of the Supreme Court in India Cement Ltd.(supra) was not applicable to the present case. According to him, the question in India Cement Ltd.(supra) was not whether cess was a tax or not, but whether the levy of cess on royalty was within the competence of the State Legislature. Therefore, according to Mr Mehta, the decision of the Supreme Court in India Cement Ltd.(supra) was clearly on an entirely different context and would not come to the aid of the revenue in the present case. 16. Mr Mehta also drew our attention to the provisions of the Tamil Nadu Panchayats Act, 1958 and, in particular, to sections 63, 64, 115, 116, 135 and 138 thereof to submit that the cess and cess surcharge under Sections 115 and 116 of that Act were clearly not in the nature of a tax keeping in mind the principle characteristics of a tax as mentioned in Om Prakash Agarwal case (supra). “Clause 12 seeks to amend section 43B of the Income-tax Act relating to allowability of certain sums only on actual payment. 19. We have also taken note of the fact that the High Courts of Andhra Pradesh, Madhya Pradesh and Rajasthan have all taken the view that the amendment introduced in Section 43B(a) by virtue of the Finance Act, 1988 would be prospective in operation and would not apply to assessment years prior to the assessment year 1989-90. Those decisions have been rendered in Phoolchand Lalith Kumar & Co.(supra) Mansukhlal Prahjibhai & Co.(supra), Dinesh Kumar Gordhanlal (supra) and Udaipur Distillery Co. Ltd.(supra). In this backdrop, we respectfully disagree with the view taken by the Calcutta High Court in Orient Paper & Industries Ltd.(supra) to the effect that the said amendment was clarificatory and was, therefore, retrospective in operation. 20. We also make it clear that we agree with the submissions made by Mr Mehta with regard to the Supreme Court decision in Allied Motors (P.) Ltd.(supra). That decision was rendered in entirely different circumstances where the introduction of the proviso was regarded as a remedial measure in aid of the assessees. This is certainly not the case here and therefore the revenue would not be able to derive any benefit from the ratio of the decision in Allied Motors (P.) Ltd.(supra). 21. This takes us to the consideration of the issue as to whether cess is the same thing as a tax and that even though the word “cess” was not used in Section 43B(a) as it originally stood, it always included cess inasmuch as tax was covered in the said provision. We find ourselves in agreement with the submission made by Mr Mehta that the decision of the Supreme Court in India Cement Ltd. (supra) would not be of any help to the revenue inasmuch as the issue there was entirely different. The focus in that decision was not on whether a cess was a tax or not but whether levy of cess on royalty was within the competence of the State Legislature. We also feel that the considerations with regard to cess in that case were in the context of legislative competence of the State Legislature to levy the cess on royalty which, by virtue of an explanation to Section 115 of the Tamil Nadu Panchayats Act, 1958, were said to be included in the meaning of land revenue. In that case, it was not in dispute that the cess which the Madras Village Panchayat Act proposes to levy was nothing but an “additional tax” and originally it was levied only on land revenue, and that apparently land revenue would fall within the scope of Entry 49 of List II in Schedule VII to the Constitution. The Supreme Court however held that it could not be doubted that royalty which was a levy or tax on the extracted mineral was not a tax or levy on land alone and that if cess was charged on the royalty, it could not be said to be a levy or tax on land and therefore, it could not be upheld as imposed in exercise of jurisdiction under Entry 49 List II by the State Legislature. The Court held that the legislature went beyond its jurisdiction under Entry 49 List II and therefore the levy was clearly without the authority of law. “Courts of law are enjoined to gather the meaning of the Constitution from the language used and although one should interpret the words of the Constitution on the same principles of interpretation as one applies to ordinary law, these very principles of interpretation compel one to take into account the nature and scope of the Act which requires interpretation. It has to be remembered that it is a constitution that requires interpretation. Constitution is the mechanism under which laws are to be made and not merely an Act which declares what the law is to be. See the observations of Justice Higgins in Attorney-General for the State of New South Wales v.Brewery Employees Union of New South Wales  6 CLR 469 at 611-12). In In re Central Provincess and Berar Sales of Motor Spirit and Lubricants Taxation Act, 1938  FCR 18, Chief Justice Gwyer of the Federal Court of India relied on the observations of Lord Wright in James v.Commonwealth of Australia  AC 578 and observed that a Constitution must not be construed in any narrow or pedantic sense, and that construction most beneficial to the widest possible amplitude of its powers, must be adopted. The learned Chief Justice emphasised that a broad and liberal spirit should inspire those whose duty it is to interpret the Constitution, but they are not free to stretch or pervert the language of the enactment in the interest of any legal or constitutional theory, or even for the purposes of supplying omissions or correcting supposed errors. A Federal Court will not strengthen, but only derogate from, its position, if it seeks to do anything but declare the law, but it may rightly reflect that a Constitution of a country is a living and organic thing, which, of all instruments, has the greatest claim to be construed – ‘it is better than it should live rather than that it should perish”. 23. So, even if in a particular case, while interpreting the Constitution, the Supreme Court may have regarded cess to be generally a part of taxation, it does not mean that cess would be part of a tax when the said word i.e., ‘tax’ is used in an Act such as the Income-tax Act which needs to be construed strictly. For this reason also, we feel that the Supreme Court decision in India Cement Ltd.(supra) would not be of any use to the revenue. ’25. The question whether a particular statutory impost is a “tax” or “fee” has arisen as a challenge in several cases before this Court, which in turn necessitated the demarcation between the concepts of “cess”, “tax” and “fee”. The characteristics of a fee, as distinct from tax, were explained as early as in Commr., Hindu Religious Endowments v. Sri Lakshmindra Thirtha Swamiar of Sri Shirur Mutt [AIR 1954 SC 282] (generally referred to as “Shirur Mutt case”). The ratio of this decision has been consistently followed as a locus classicus in subsequent decisions dealing with the concept of “fee” and “tax”. 28. On the basis of the above considerations, this Court in Hingir Rampur case[AIR 1961 SC 459 : (1961) 2 SCR 537], examined the scheme of the Act impugned in that case in depth and opined that the primary and the principal object of the Act was to develop the mineral areas in the State and to assist in providing more efficient and extended exploitation of its mineral wealth. The cess levied did not become a part of the consolidated fund and was not subject to an appropriation in that behalf. It went into a special fund earmarked for carrying out the purpose of the Act and thus, its existence established a correlation between the cess and the purpose for which it was levied, satisfying the element of quid pro quo in the scheme. These features of the Act impressed upon the levy the character of a “fee” as distinct from a “tax”. 27. But, in the present case, the cess and cess surcharge do not fall within the characteristics of a tax. As pointed out in Dewan Chand Builders & Contractors (supra), in the case of a cess there exists a reasonable nexus between the payer of a cess and the services rendered. In Dewan Chand Builders & Contractors (supra), the Supreme Court had relied on Hingir Rampur Coal Co. Ltd. v. State of Orissa: AIR 1961 SC 459 wherein it was recognized that there was really no generic difference between a tax and a fee inasmuch as both are compulsory exactions of money by public authority. However, where a tax was imposed for public purposes and need not be supported by any consideration of service rendered in return, a fee was levied essentially for services rendered and as such there was an element of quid pro quo between the person who pays the fee and the public authority which imposes it. It was further observed in Hingir Rampur Coal Co. Ltd’s. case (supra) that if specific services are rendered to a specific area or to a specific class of persons or trade or business in any local area and is a condition precedent for the said services or in return for them, cess is levied against the said area or the said class of persons or trade or business, the cess is distinguishable from a tax and is described as a fee. Furthermore, tax recovered by a public authority invariably goes into the consolidated fund which is ultimately utilized for all public purposes whereas a cess levied by way of a fee is not intended to be and does not become a part of the consolidated fund. It is earmarked and set apart for the purpose of services for which it is levied. It is important to notice that in Dewan Chand Builders & Contractors (supra), the Supreme Court relied upon the test laid down in Hingir Rampur Coal Co. Ltd. (supra) which was followed in State of West Bengal v. Kesoram Industries Ltd. (2004) 10 SCC 201 wherein the Supreme Court observed that the term “cess” was commonly employed to connote “a tax with a purpose” or “a tax allocated to a particular thing”. In that very decision, the Supreme Court recognized the fact that depending on the context and purpose of levy, a cess may not be a tax. “(4) (a) Out of the proceeds of the local cess so collected in every panchayat development block, a sum representing four-ninths of the proceeds shall be credited to the Panchayat Union (Education) Fund. (b) Out of the proceeds of the local cess collected in every panchayat town in a panchayat development block, a sum representing two-ninths of the said proceeds shall be credited to the town panchayat fund. (c) Out of the balance of the proceeds of the local cess collected in the panchayat development block, such percentage as the panchayat union council may fix shall be credited to the village panchayat fund, and the percentage shall be fixed so as to secure as nearly as may be that the total income derived by all the village panchayats in the panchayat union does not fall short of an amount calculated at 20 naye Paisa for each individual of the village population in the panchayat union. 29. From the above it is apparent that the proceeds of the local cess are to be credited in distinct shares to the Panchayat Union (Education) Fund, the Town Panchayat Fund, the Village Panchayat Fund and the Panchayat Union Council Fund. It is apparent that the cess collected under the said Tamil Nadu Panchayats Act, 1958 does not become part of the consolidated fund but becomes part of the special funds under the Tamil Nadu Panchayats Act, 1958. Thus, an essential feature of a tax is non- existent in the case of a cess and cess surcharge under the Tamil Nadu Panchayats Act, 1958. 30. Section 135 describes the Panchayat Union (General) Fund and it stipulates that the said fund shall, inter alia, include such part of the local cess collected in the panchayat development block as remains after crediting to the Panchayat Union (Education) Fund, the Town Panchayat Fund and the Village Panchayat Fund under Section 115. It also includes the local cess surcharge collected in the panchayat development block under Section 116. Similar provisions are made with regard to the Panchayat Union (Education) Fund under Section 136 and of the Town Panchayat and Village Panchayat Funds under Section 137 of the Tamil Nadu Panchayats Act, 1958. The expenditure is governed, inter alia, by Section 138 out of the monies received by the Panchayat Union Council, the Village Panchayat or the Town Panchayat. The expenditure from the Panchayat Fund and the Panchayat Union Fund is to be defrayed in the manner indicated in Section 139 of the Tamil Nadu Panchayats Act, 1958. In other words, none of the trappings of a tax as explained in Hingir Rampur Coal Co. Ltd.(supra), Kesoram Industries Ltd.(supra) and Dewan Chand Builders & Contractors (supra) existed in the present case. Therefore we are unable to agree with the submission of learned counsel for the revenue that the cess under Section 115 and cess surcharge under Section 116 of the Tamil Nadu Panchayats Act, 1958 could be regarded as a tax for the purposes of Section 43B. That being the case, the claim of expenditure on the basis of accrued liability to pay cess and cess surcharge under the Tamil Nadu Panchayats Act, 1958 could not be disallowed by the revenue authorities by invoking Section 43B of the said Act as it was applicable to the assessment year 1985-86. Therefore, question No.1 is answered in the affirmative, in favour of the respondent/assessee and against the revenue. 31. The respondent/assessee had in the previous year pertaining to the assessment year 1985-86, collected a sum of Rs.26,10,483/- by way of deposits from non-governmental buyers of cement towards possible levy of sales tax on packing and freight charges. The Assessing Officer treated the said amount of Rs.26,10,483/- as a trading receipt and held that no deduction under Section 43B was allowable to the assessee inasmuch as the said amount had not been paid to the Government as tax. The Assessing Officer therefore added the said amount to the assessable income of the respondent/assessee. The Commissioner of Income Tax (Appeals) confirmed the Assessing Officer’s order in treating the said sum as a trading receipt at the hands of the respondent/assessee. The Income Tax Appellate Tribunal however deleted the said addition by holding that the said deposits amounting to Rs.26,10,483/- could not be treated as a trading receipt and therefore could not have been included in the assessable income of the respondent/assessee. The Tribunal had placed reliance on the decision of the Supreme Court in the case of State of Mysore v. Mysore Spg. & Mfg. Co. Ltd.  11 STC 734 as also on the decision of a Single Judge of the Madras High Court in the assessee’s own case – Dalmia Cement (Bharat) Ltd. v. Dy. CIT  73 STC 167. The Tribunal distinguished the cases cited on behalf of the revenue, namely, (i) Chowringhee Sales Bureau (P.) Ltd. v. CIT  87 ITR 542 (SC); and (ii) Sinclair Murray & Co. (P.) Ltd. v. CIT  97 ITR 615 (SC). 33. The said contingency deposit collected on a refundable basis was separately ledgerised in the buyers’ accounts and the buyers were treated as depositors. The understanding between the respondent/assessee and its buyers was that in case the levy was upheld by the Supreme Court, the deposits would be paid to the Government. On the other hand, if the levy was not upheld by the Supreme Court, the respondent/assessee was under the contractual liability to refund the same to the buyers/depositors. It was therefore the case of the respondent/assessee that the deposits were obtained bona fide with a view to cover the liability to sales tax on packing charges and freight. Furthermore, such deposits could not be considered to be trading receipts or collections by way of sales tax. But, the Assessing Officer treated the same as a trading receipt and made the addition. The Commissioner of Income Tax (Appeals), as mentioned above, confirmed the addition made by the Assessing Officer by applying the decisions of the Supreme Court in Chowringhee Sales Bureau (P.) Ltd. (supra) and Sinclair Murray & Co. (P.) Ltd. (supra). The Tribunal, as pointed out above, set aside the said decision of the Commissioner of Income Tax (Appeals) and held that the deposits could not be regarded as the trading receipts of the respondent/assessee. On facts, the Tribunal concluded that the contingency deposits were collected on refundable basis and were also separately ledgerised in the respondent’s account and the buyers were treated as depositors. Consequently, the tribunal held that when the amounts are credited in the separate accounts of the buyers and held as deposits and the parties are treated as depositors, the money was collected on the express understanding of payment to Government or refund to the buyers in case the levy was upheld or not upheld by the Supreme Court. The respondent/assessee clearly held the said monies as a mere custodian. It did not become part of the trading receipt of the respondent/assessee nor could it be regarded as a collection by way of tax. The Tribunal had placed reliance on the assessee’s own case decided by the Madras High Court in Dalmia Cement (Bharat) Ltd. (supra). Reliance was also placed on the Supreme Court decision in the case of Mysore Spg. & Mfg. Co. Ltd. (supra). The decision of the Supreme Court in Chowringhee Sales Bureau (P.) Ltd. (supra) and Sinclair Murray & Co. (P.) Ltd. (supra) which had been referred to on behalf of the revenue were held to be distinguishable on facts. 34. Before us, Mr Sabharwal appearing on behalf of the revenue once again placed reliance on the decisions in Chowringhee Sales Bureau (P.) Ltd. (supra) and Sinclair Murray & Co. (P.) Ltd. (supra) as also on the decision of the Kerala High Court in CIT v. United Cardamom Auctioners  295 ITR 574/ 156 Taxman 438. On the other hand, Mr Ravi Mehta appearing on behalf of the respondent placed strong reliance on the Constitution Bench decision of the Supreme Court in the case of Mysore Spinning and Manufacturing Co. Ltd. (supra). He also referred to Dalmia Cement (Bharat) Ltd. (supra) and Siddheshwar Sahakari Sakhar Karkhana Ltd. v. CIT  270 ITR 1/139 Taxman 434 (SC). 35. In Chowringhee Sales Bureau (P.) Ltd. (supra), the appellant company was a dealer in furniture and also acted as an auctioneer. In respect of sales effected by the assessee as auctioneer, it realized a sum of Rs.32,986/- as sales tax in the year in question. The said amount was credited separately in its account books under the head “sales tax collection account”. The appellant company did not pay the amount of sales tax to the actual owner of the goods nor did it deposit the amount so realized by it as income tax in the State exchequer because it took the position that the statutory provision creating that liability upon it was not valid. The appellant also did not refund the amount to the persons from whom it had been collected. Importantly, in the cash memos issued by the appellant company to the purchasers in the auction sales, the appellant-company was shown as the seller. In this backdrop, the Supreme Court held that the sum of Rs.32,986/- realized as “sales tax” by the appellant-company in its character as an auctioneer formed part of the trading or business receipts. The Supreme Court further held that the fact that the appellant credited the amount received “as sales tax” under the head “sales tax collection account” did not make any material difference as the Court observed that it is the true nature and quality of the receipt and not the head under which it is entered in the account books that would prove decisive. If a receipt is a trading receipt, the fact that it is not so shown in the account books of the assessee would not prevent the assessing authority from treating it as a trading receipt. It was also held that the appellant-company would, however, be entitled to claim a deduction of the amount as and when it paid it to the State Government. What is important to note from the above decision is that the money that was collected by Chowringhee Sales Bureau to the extent of Rs.32,986/- was realized by it “as sales tax”. It is in this backdrop that the Supreme Court held that the said sum was part of the trading or business receipts of Chowringhee Sales Bureau. 37. It is important, once again, to notice the expression used in the above extract. It has specific reference to the dealer collecting any amount “by way of tax”. It is obvious that when a dealer collects an amount by way of tax, it is part of the sale price. Therefore, that amount would have to be included in the turnover. 38. But the facts of the present case are different. Here, the deposits that were received by the respondent/assessee were neither collected “as sales tax” nor were they collected “by way of tax”. They were simple deposits towards possible levy of sales tax on packing charges and freight. The footnote of each invoice specifically mentioned that the security deposit towards possible levy of sales tax on packing charges and freight was refundable in the event of the levy of sales tax on packing charges and freight being ultimately held to be not justified. 40. From the above, it is apparent that a deposit of the kind in the present case cannot be regarded as either a collection ‘by way of tax’ or ‘as sales tax’. That being the position, the said deposits, to the extent of Rs.26,10,483/-, cannot be treated as trading receipts. The Tribunal has correctly held that the decision of the Supreme Court in Mysore Spg. & Mfg. Co. Ltd. (supra) would be applicable and those in Chowringhee Sales Bureau (P.) Ltd. (supra) and Sinclair Murray & Co. (P.) Ltd. (supra) are distinguishable and not applicable to the facts of the present case. Consequently, question No.2 is answered in the affirmative, in favour of the assessee and against the revenue. 41. Insofar as this question is concerned, we feel that, truly speaking, no question of law as such arises for our consideration. The only issue before the tribunal was whether the estimate of advance tax submitted by the assessee was genuine and bona fide and whether the explanations tendered by the assessee with regard to the estimate of advance tax were reasonable or not. The Tribunal has come to the conclusion that the estimate furnished by the assessee was reasonable and bona fide and therefore no interest under Section 216 could be charged. We are of the views that the finding returned by the Tribunal was one of fact and no question of law, as such, arises for our consideration. Consequently, we refrain from answering this question and return the same unanswered. 42. In view of the foregoing discussion, question Nos. 3, 4 and 5 are returned unanswered. Question Nos. 1 and 2 are answered in the affirmative in favour of the assessee and against the revenue. The reference stands answered accordingly. This entry was posted in Sec. 28(i), Section 115, Section 116, Section 43B and tagged 357 ITR, Delhi High Court, In favour of Assessee.